This month’s Ritual Pedicure focus on planting seeds for growth. Spring is a time of renewal and I find that this applies not only to the seasons but also to our lives. Leaving the cave of winter hibernation and introspection we re-enter the world with renewed energy and a fresh outlook. The featured gemstones in this month’s pedicure are Shiva Shell and Snow Quartz. 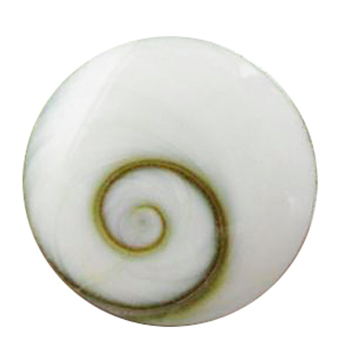 Shiva shell contains powerful sacred geometry that represents the flow of life and the universal knowledge that what is within and what is without are one and the same. Meaning that your life is a representation of your inner garden. And so springtime is a good time to contemplate on the seeds (thoughts, emotions, activities) you are planting in your inner garden and make a conscious effort to nurture the seeds you want to see grow. Snow Quartz will help with bring mental clarity so you can contemplate the thoughts and emotions you are watering in your inner garden. It also teaches patience which is needed when we have a desire to grow and take a different direction. Snow Quartz has a softer feminine energy which can help you tap into the intuitive aspect of yourself and flow with ease in that new direction instead of forcing things to happen. Lotus Wei’s Game Changer flower essence blend: This powerful blend of flower essences rebalances one with effortlessness, simplicity and lighthearted action. It encourages rapid growth, creativity and spaciousness of mind. Rosemary essential oil: A highly revered essential oil for enlightenment. This essential oil has a stimulating, invigorating and refreshing aroma that will uplift you. It is thought to provide good luck and protection. Our Ritual Pedicures include extended massage times, a warm facial compress and lots of TLC. Our Ritual Pedicures are curated in collaboration with spiritual healer Amelie St. Pierre of Liberate Your True Self, https://www.liberateyourtrueself.com Visit her for a free personalized reading to help you select the best gemstone for you.